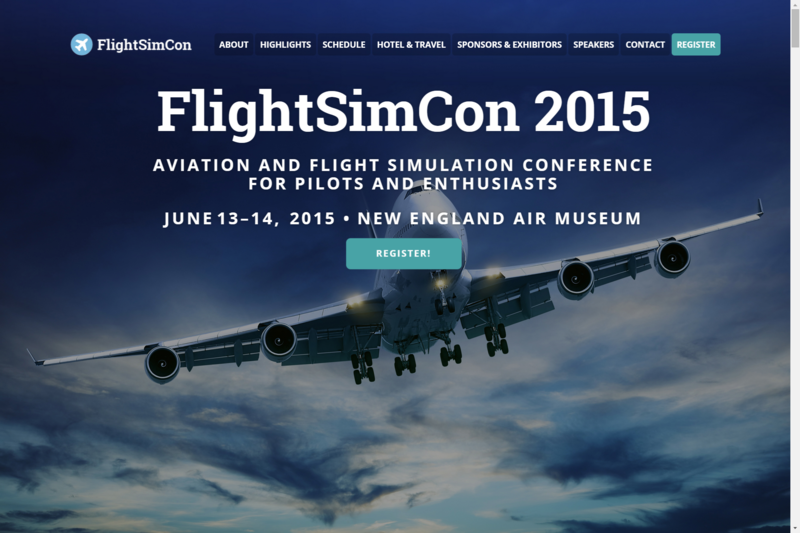 FlightSimCon arrives at New England Air Museum on the 13th – 14th June, and there is going to be loads of people there that you may recognize. Over the 2 day event visitors will have the chance to meet multiple key figures in the world of flight simming and major manufactures and brands will be there such as Jetline Systems and others. View and participate in a live demonstration of online flying. Conference attendees who bring their own simulation stations to the event will set up as pilots and controllers to showcase the capabilities of online desktop flight simulation as an entertainment and training platform. Attendees will have the opportunity to try out a “sim-pit” built from a full-size Cessna 172 airplane cockpit. Additionally, attendees are welcome to fly different simulator configurations throughout the event, and have free access to the Museum’s FSX simulators. Engage with the speakers and exhibitors at the event. Discussion topics range from setting up a desktop flight simulator to building a fully-functional “sim-pit” from airplane parts. Speakers include pilots, flight instructors, flight simulation community leaders, and others. The schedule looks rather full so far and could change over the coming weeks as we get closer to the 13th and 14th June. Previous ArticleAlabeo C207 for Xplane – Coming Soon! Next Article PMDG 777 – FS2Crew Update!